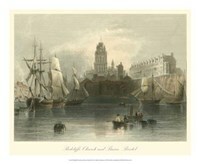 W. H. Bartlett (Born in 1809) was an artist from Britain, best known for his numerous steel engravings. He was born in Kentish Town, London and was apprenticed to Britton John, and became one of the foremost illustrators of topography of his generation. 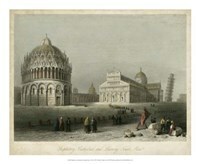 Bartlett liked travelling and he traveled throughout Britain, and he traveled extensively in the Middle East and the Balkans in the mid and late 1840s. 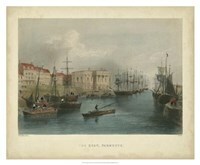 Between 1836 and 1852, he made four visits to North America. 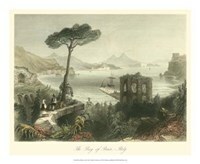 He first visited the United States in 1835, and he drew the scenery, towns and buildings of the northeastern states. 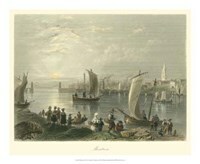 His finely detailed steel engravings were published uncolored with a text by Willis Parker Nathaniel as American Scenery. 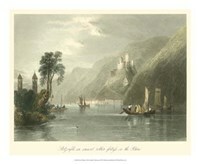 From 1837 to 1839, American Scenery was published by Virtue George in London in 30 monthly installments. 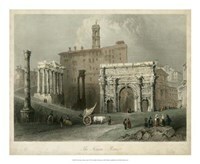 And from 1840 onward, bound editions of the work were published. 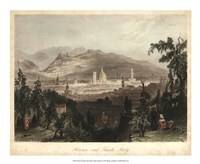 In 1838 the artist was in the Canada producing sketches for Canadian scenery illustrated by Willis, published in 1842. Engravings based on his ideas were used in “History of the United States of North America” after his death. The work was completed by Woodward Bolingbroke Bernard and published around 1856. 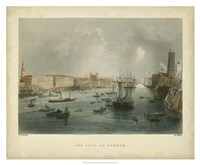 Bartlett died of fever in 1854 on board of a French ship off the coast of Malta. This was when he was returning from his last trip to the Near East. He could select his point of view so as to bring prominently into his art the cathedral or the castle, which antiquity or history had allowed.